(No. 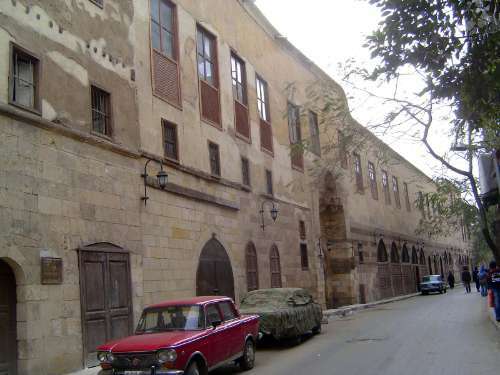 267) The palace, built in 1352, of the Amir Sayf al-Din Taz al-Nasiri, one of Sultan al-Nasir Muhammad's many sons-in law. The Khedive Ismai'l made it a girls' school. Later it became a warehouse for the Ministry of Education.